Word Kit V app: insight & download. 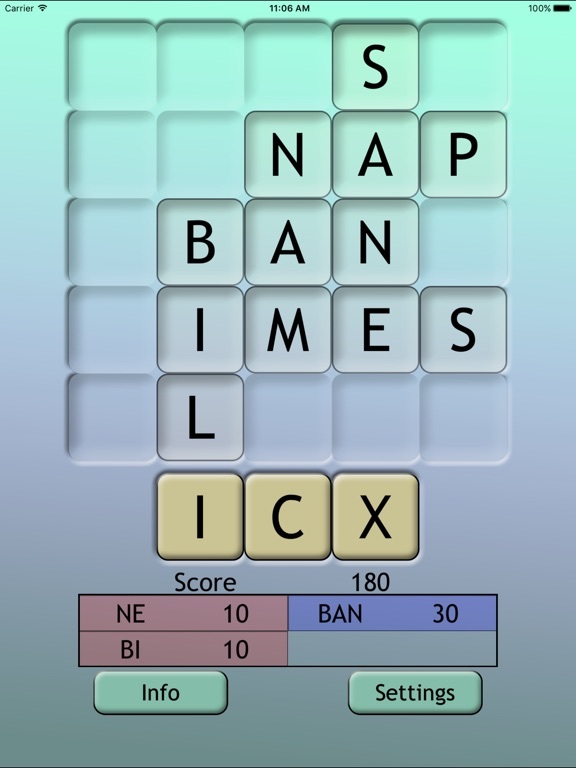 Word Kit is a twist on the typical grid based word game. Instead of finding words, your job is to build them. Let the computer do the work of finding the words. Choose one of three letters from your "Kit" and place them on to the 5 by 5 board. As you make words the computer will find them and give you points. Words can either go from top to bottom or left to right. Longer words will give you more points. See just how high of a score you can get with the letter board you made from your "kit". Great for any age and you may just learn a few new words you didn't know before. 12 July 2018 : Free! 24 May 2014 : Free!